Q: What age ranges do you cover? A. Our youngest client so far was 20 and our oldest in their mid 80’s. Age is not the key factor for us in deciding if we think we can help you find your soul mate. Positive outlook and a desire for a long term relationship or marriage are far more important than age. 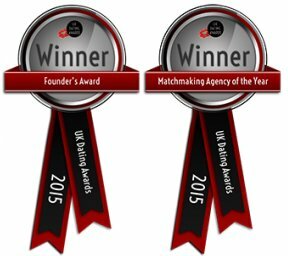 Q: Is matchmaking membership only for Londoners? A. Drawing Down the Moon is a well respected brand throughout the UK and beyond. The majority of our clients are based in London and the South East, however, we do also have clients based throughout the world. Global introductions are offered by arrangement. Q: I’ve heard Drawing Down the Moon described as a matchmaking agency for thinking people, but I’m not an intellectual or academic from an ivory tower university like Oxford or Cambridge – will I be compatible with your members? A. It is true that we probably have the highest proportion of highly educated members of all the personal dating or matchmaking agencies. However, intelligence is often more important than degree education, and we welcome all Thinking People. Q: Is Drawing Down the Moon Matchmaking only for the elite, millionaires, UHNWI, seekers of sugar daddies, etc? A. Some of our members are Ultra High Net Worth individuals. But with one of the largest active client lists of any matchmaker in the UK, our clients come from a huge variety of backgrounds, such as small business owners, academics, entrepreneurs, teachers, musicians, actors, politicians and of course aristocracy. If you feel an approach other than personal matchmaking would suit you better, we can outline a range of alternative options including our own internet dating site, www.loveandfriends.com, which provides a free service, and is also designed for intelligent singles. Q: What is your ratio of male/female clients? A. Our current ratio is 51% female, 49% male. We measure this ratio quarterly. If the ratio reaches 47% either way, we suspend new membership for that gender until the ratio is increased. With between 800 and 1000 matchmaking clients at any one time, clients do go on hold (either because we have introduced them to their new partner, are taking holidays or travelling for work) this ratio is always moving. Anecdotally we are told that our male to female ratio is the best amongst the matchmaking firms both in London and the UK.